Embark on the new Great Southern as you travel from Adelaide the 'City of Churches' to the vibrant city of Brisbane, marvel at the beauty passing by your cabin window, the rugged wilderness of the Grampians and rural Victorian countryside, the modern Capital of Australia and political hub Canberra, the stunning seaside vistas of the Northern NSW Coast and onto the cosmopolitan city of Brisbane. Feel the youthful vibrancy of this modern forward-looking city as you arrive into Brisbane. You will be personally met at the the Great Southern railway station by a DISCOVER AUSTRALIA representative and transferred to your hotel. You can relax and use the rest of the day to explore your hotel and its facilities, perhaps take a stroll around the neighbourhood and central Brisbane. You will be personally met at your hotel by a DISCOVER AUSTRALIA representative and transferred to the Great Southern railway station to begin your journey to Adelaide. Embark on the new Great Southern as you travel from the vibrant city of Brisbane to Adelaide the 'City of Churches', marvel at the beauty passing by your cabin window, the stunning seaside vistas of the Northern NSW Coast, the picturesque Hunter Valley Wine Region, the dramatic cliffs and coastline of the Southern Ocean and the natural wonder of the majestic Twelve Apostles and onto Adelaide. As you arrive into Adelaide you can feel the history and culture of 'The City of Churches'. You will be personally met by a DISCOVER AUSTRALIA representative and transferred from the Indian Pacific railway station on arrival in Adelaide to the Adelaide airport for your flight home. Meet and Greet Personalised Departure Rail Transfer, 3 Breakfast,3 Lunch, 3 Dinner, Gold Service Cabin on the Great Southern, Brunch in Northern NSW Coast, Off Train Experience Hunter Valley, Off Train Experience Regional Victoria & The Twelve Apostles, Meet and Greet Personalised Departure Transfer. You have 3 choices of accommodation in Adelaide and Brisbane. Our "Good Standard" central Adelaide and Brisbane hotel has great facilities, a comfortable room and friendly service (typically 3.5 stars). Alternatively, why not treat yourself? The "Deluxe" hotel has superior facilities, stylish room and first class service (typically 4 stars). The “Luxury” hotel is upscale with a more luxurious feel for the discerning traveller and great for celebrating an anniversary (typically 5 stars). 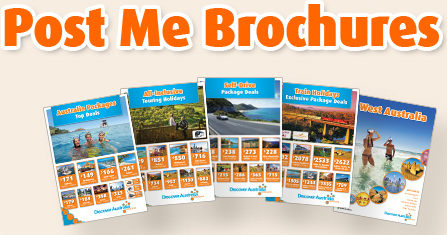 You will be personally met by a DISCOVER AUSTRALIA representative and transferred from the Adelaide airport to your hotel, from your hotel to the railway station and from the railway station on arrival in Brisbane to your hotel and from your hotel to the railway station and from the railway station in Adelaide to the airport to meet your flight home. 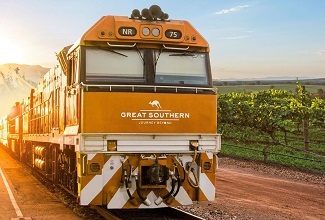 The Great Southern Train Return with Brisbane Stay is very popular. Many dates book out well in advance, please book soon.